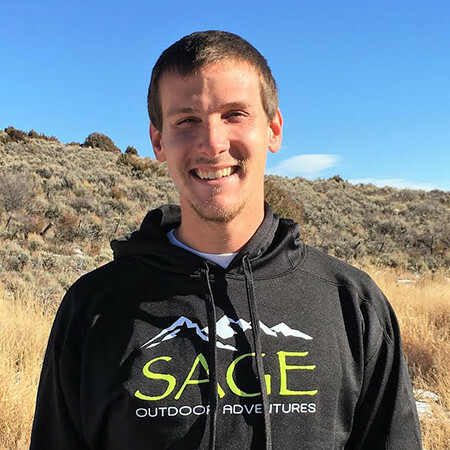 Cole is co- founder and co-owner of Sage Outdoor Adventures. He and his father started the business in the depth of the 2008/2009 recession on a $30,000 handshake loan from a local business man and friend. Prior to Sage, Cole was competitive on the World Cup Mountain Bike Circuit, focusing on gravity events, racing in countries all over the globe. He was crowned the US National Downhill Champion in 2007, and was honored to be a member of the USA Downhill team at the World Championships for 3 years in a row. Cole maintains a pulse on action sports as it and integral piece of his business, current, and past life. Cole was also co-founder of The Pursuit mountain bike ministries, a travelling church service that provided racers that were on the road week in and week out a sanctuary and place of fellowship. Cole will not be found sitting idle often. He thrives on being outside playing in the mountains, in a kayak, raft, on a bike, motorcycle, snowmobile, or on his own two feet, wandering around the woods, mountains, and desert canyons in awe. Cole is also the captain of our pro raft race team, sitting back right of the boat, calling out directions and keeping a pulse on team form, overall boat movement and angle. He graduated from Northland College in Wisconsin with a Degree in Environmental Studies and a Geology Minor. He moved to Vail in 1975. He found a passion for the river and became an avid Class V kayaker. He started his guiding career as a backcountry cross county ski guide and raft guide. He guided trips all over the US, including many multi day excursions in Yellowstone during the winter. In summer, Darryl was actually the first commercial raft guide in Vail! Darryl took his skills and passion to the next level and opened his own rafting guide service in Vail in 1983. He pioneered all the hardest whitewater runs near Vail, including all of the Eagle River, and Gore Canyon, the steepest Class V section of the entire Colorado River. He also spent time in Canada doing first descents in rafts on some of the largest class V rapids on the planet. He was fortunate enough to have the time to climb hundreds of peaks and compete in ultra endurance competitions. 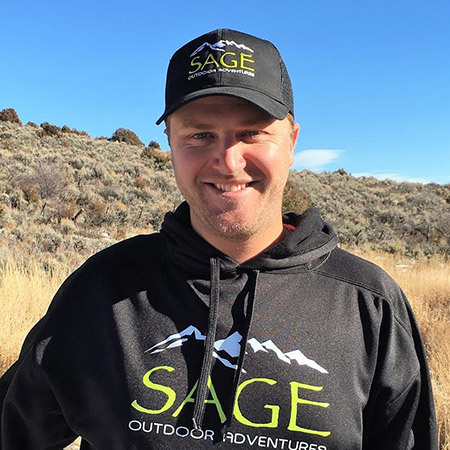 More recently, Darryl has taken some time to go racing with his son, Cole, and when they were finished with their time traveling the world together, Darryl and Cole founded Sage Outdoor Adventures in 2009. He also now has two beautiful grandchildren from his daughter, Autumn. Darryl is proud to keep his roots in the Valley he loves most, doing what he loves most: Showing people the grandeur and excitement of the trails and rivers of Colorado as he has done for the last 4 decades. 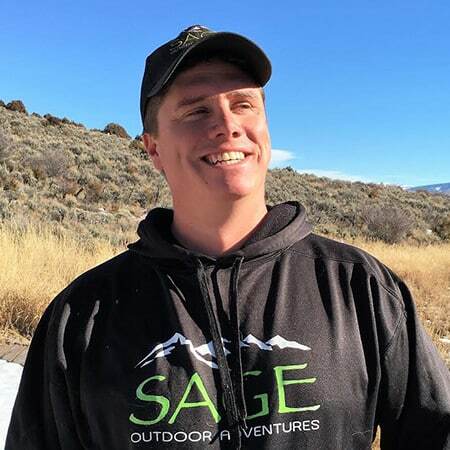 Jason is a Colorado native and spent his childhood coming up from the front range to ski and fish in the high country. 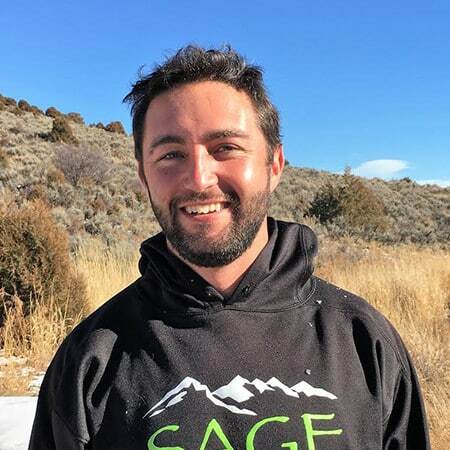 In 2005 he received his associates degree in Outdoor Recreation Leadership from Colorado Mountain College. He has guided ever since, doing everything from rafting in Alaska to Sea Kayaking in Hawaii. 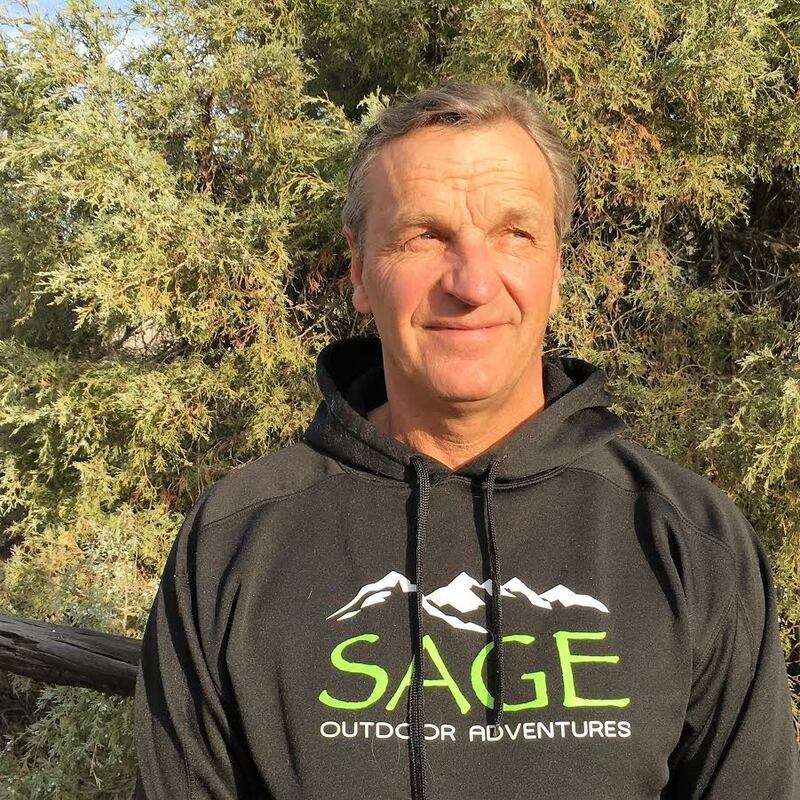 He calls the Vail Valley his permanent home and has spent most of his time guiding here, doing snowmobile tours and running all the spectacular rivers in the surrounding area. In 2010 he got his EMT-B and now he is working on finalizing his private pilots license. Come and let him show you why he fell in love with this amazing place. Wesley has been playing with trucks long before he could even walk. Tonka was his favorite toy then but now find him working on life-size cars, trucks, snowmobiles, ATVS, and just about anything else. You name it, he’ll fix it. A thrill-seeker and powder-chaser, on his days off, Wes is exploring the backcountry on snowboard with his brother and fellow guide, Danny (and of course the adorable yellow lab Charlie). Aside from the in-house mechanic, Wes is an all-season guide on the river and snow. Look for a charming smile and oil-stained hands and it’s sure to be Wes! Wes is also a member of our pro rafting race team and is generally found front right, setting a blistering pace and giving encouragement to the rest of the team. 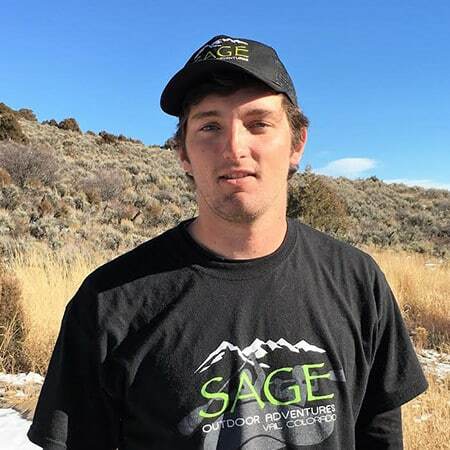 The younger of the zany Zittel brothers, also handy with a wrench, Danny has grown to be a senior guide at Sage year round. 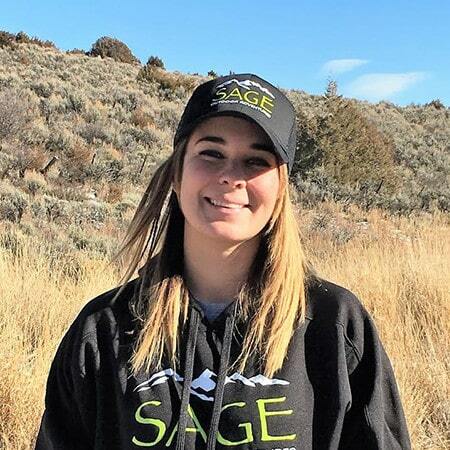 Danny moved from Golden to Vail in the fall of 2012 with an adventurous spirit and heart of gold. He started as a raft guide and soon became and integral part of the year-round guidestaff. Always expect a chuckle and backflip when Danny is your guide. Danny is our front left paddler on our pro raft race team, in charge of setting the pace and turning the boat left with massive draw strokes, and of course, since he’s up front, he gets to face punch waves all day!! G-money is a sweet southern bumpkin from South Carolina. His gentle voice and soothing tone will make a mountain lion purr and put your baby to sleep. Join Garrett in the outdoors for the smoothest trip you could dream of. Leslie Miller has spent the past 37 years working in the outfitting industry. Born and raised in Southern CA she moved to Colorado after getting married. 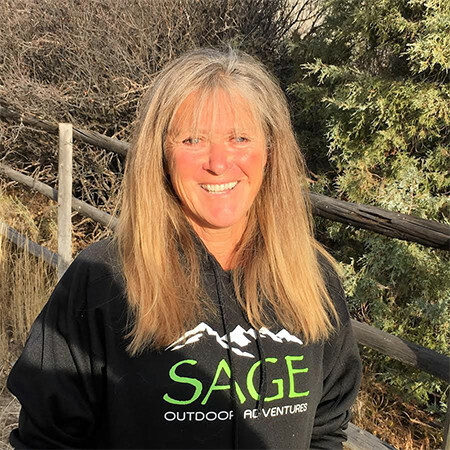 Since living in Colorado she has focused her life on sharing her love of the mountains and horses in many capacities, guiding pack trips, sleigh rides, hunting trips, and a variety of trail rides. 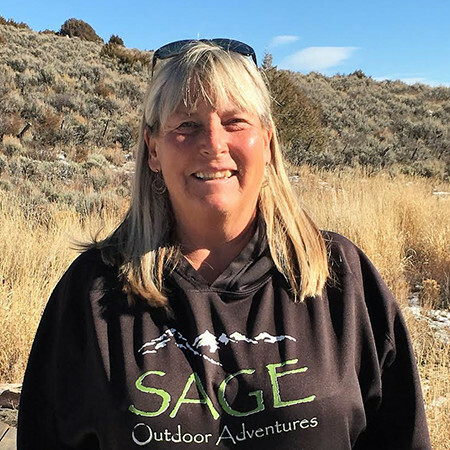 Leslie is extremely excited to be a part of the Sage team, running the summer horse program and driving a shuttle in the wintertime. Her favorite part is meeting so many interesting guests from all over the world.